Now that we have had almost 2 years of post-QE Fed activity (US quantitative easing ended in October 2014), I looked at how FedSwing II has matched with the Fed’s actions and impact on markets. When I created FedSwing II in November 2014, I attempted to design the system to best fit the FOMC’s stated policies going forward. There were two methods of analyzing their actions I found to perform well, and I chose the more conservative version to use in the strategy. Now that we have almost 2 years of data to analyze (plus back to 2006), I find that version to be too conservative, and that the other method is a better fit. 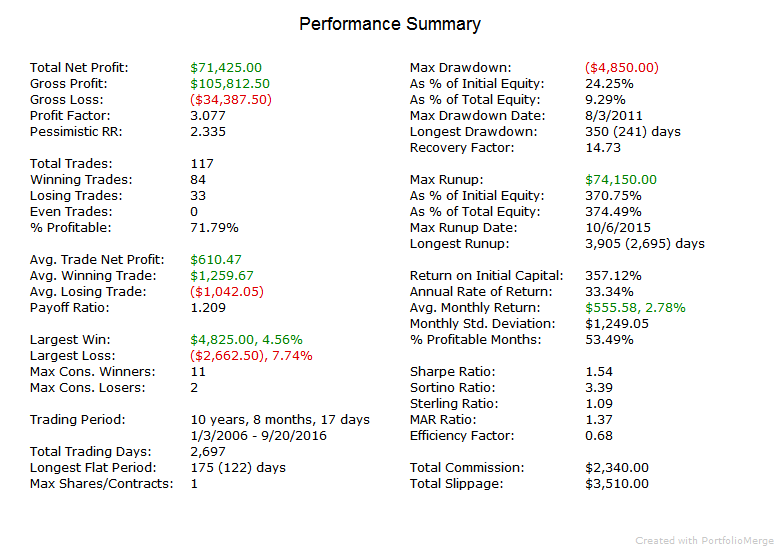 This is a fairly minor adjustment, but it has shown to provide much better trading results. Starting 9/23/16, FedSwing II will use the updated method of analyzing the FOMC’s actions. This will be applied as a walk-forward update to the system. In the future, if the FOMC changes policies/guidance, then I may make future walk-forward updates at that time. To show comparative performance results of the method being used going forward, I am showing summaries below for ES and TF along with full performance reports for all markets.